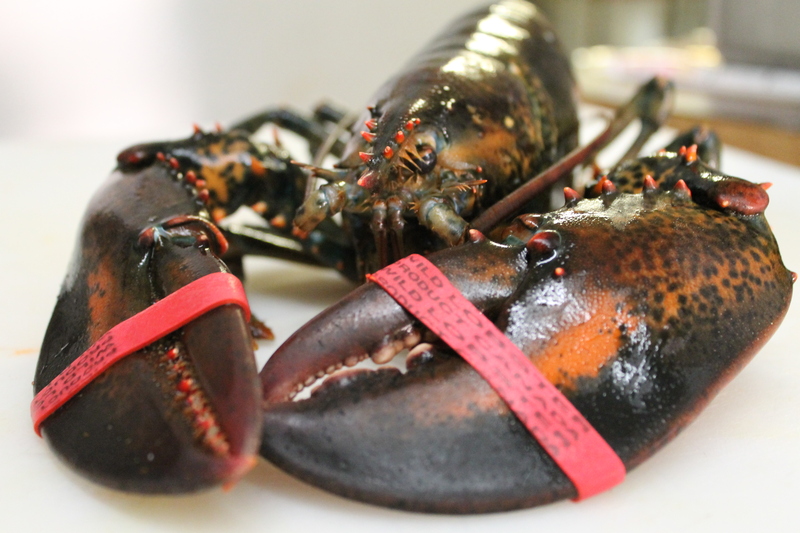 Summer in Maine — you got to have lobster. We feature many lobster dishes during the summer like lobster pad Thai, lobster summer rolls and lobster lemongrass soup just to name a few. The featured dish I most like to make, and by the way the biggest pain in the toosh to prep, is the “Wok-flashed Lobster.” It takes a lot of prep work, with many, many steps, but it’s so nice to cook something other than Pad Thai. This dish is similar to appetizers on the menu – spicy green beans, spicy calamari, spicy shrimp & spicy soft shell crab. The technique is quite similar, protein being wok-flashed (sauteed very quickly at high heat) with scallions, cilantro, sea salt, white pepper, garlic, chili relish & fried shallots. 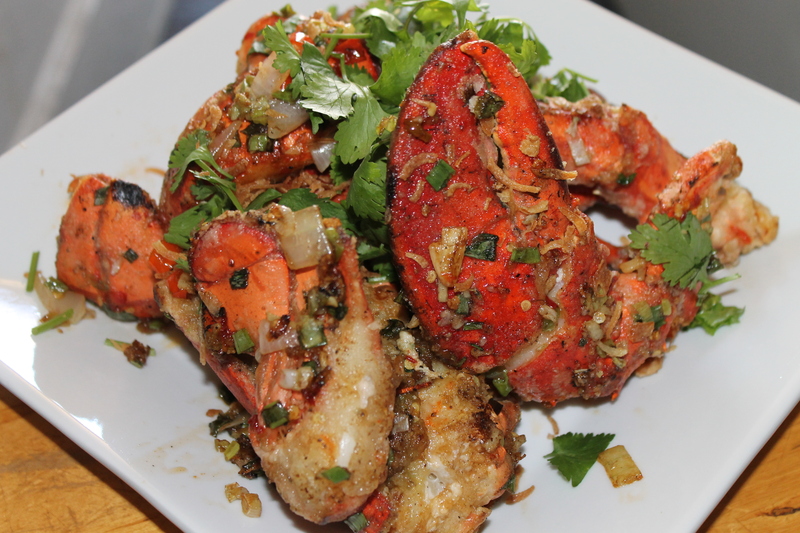 In this lobster dish we add ginger, onions & fresh bird chili which all add great flavor and dimension to lobster. This dish is actually inspired by a Shanghai cooking technique most Chinese restaurants label as “Salt & Pepper,” and is most often done with shrimp. 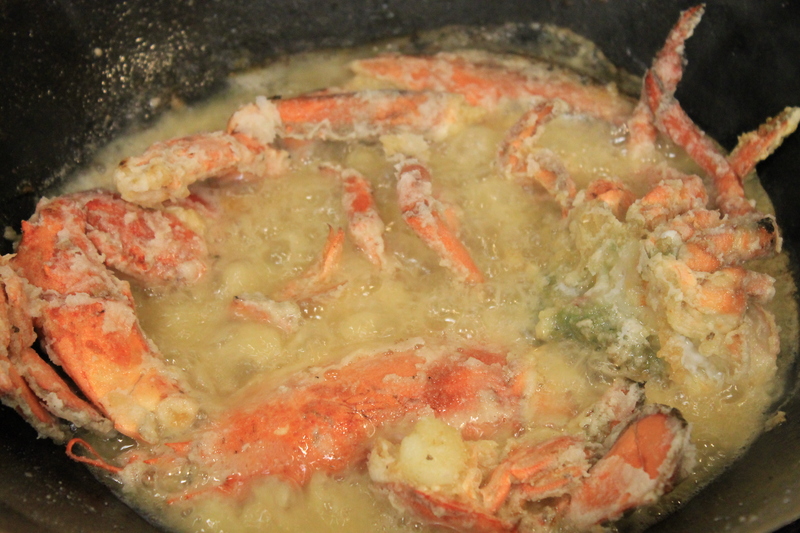 This is definitely nothing like your typical lobster and clarified butter. Fresh 1 1/2 lb. 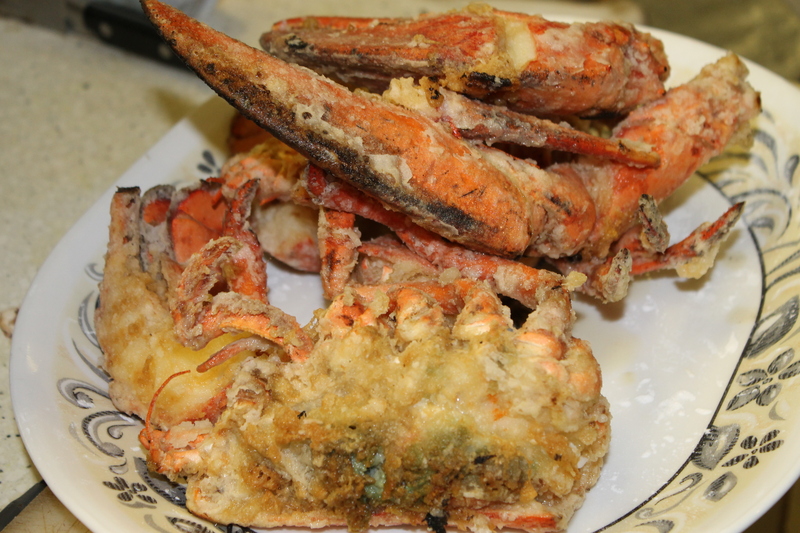 Maine lobster through our seafood supplier Maine Shellfish. Lobster is prepped to order. Cut in half and then into pieces and coated with tapioca flour. 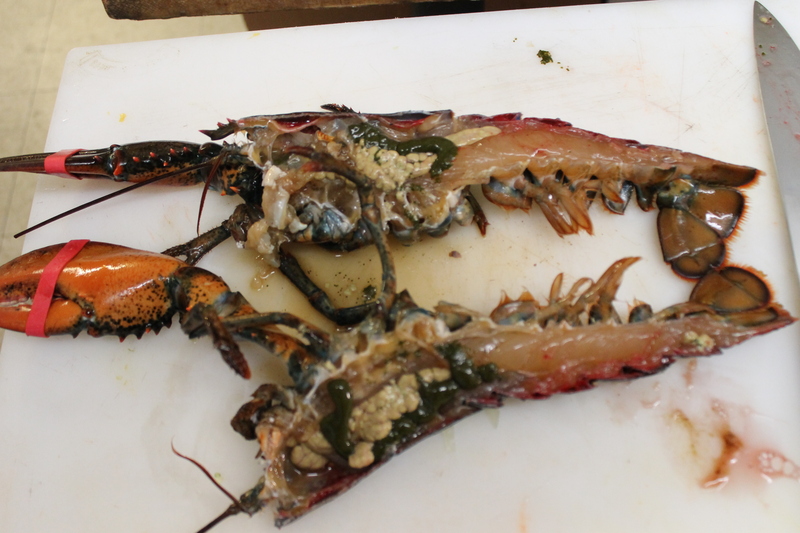 Lobster pieces are fried in wok until fully cooked — about 6-8 minutes. Finished lobster waiting to be wok flashed! Final Product — full of flavor. Must not be afraid to get hands dirty to eat this!